A ten day course with final examination for experienced lift truck operators who wish to provide operator training for their employer or on a commercial basis (Instructors must become RTITB Accredited in order to provide commercial training approved by RTITB). A 12 day initial lift truck instructor course is also available for those who wish to refresh their lift truck operating skills. Test of Basic Operating Skills (Practical test to instructor standard – maximum 25 penalties). This is carried out on the first day of the course by the course tutor. RTITB Examination of Practical Instructional Ability (40 minutes). Delegates must score a minimum of 70 from a maximum of 100 to pass this element. This examination is carried out on the final day of the course and is conducted by an independent RTITB Examiner. RTITB Examination of Instructor Associated Knowledge (20 minutes). A minimum of 80% must be achieved to pass this element. This examination is carried out on the final day of the course and is conducted by an independent RTITB Examiner. All instructors' courses will be held at our RTITB accredited training centre in Broadstairs, Sussex. We have 4000 sq ft of heated modern facilities and a modern fully equipped training room. There are also kitchen facilities with hot and cold drinks, the use of a fridge and microwave etc is also available for use. A five day course for Lift Truck Instructors registered with another HSE recognised accrediting body (or other credible organisation such as the military,ITSSAR, CITB) who wish to register with RTITB or instructors whose RTITB registration has lapsed for more than 12 months but less than 5 years. Successful candidates can then register on the RTITB National Register of Instructors “The Professional Register” for a period of 5 years. £60.00 + VAT (per person) payable to the RTITB. All instructors’ courses will be held at our RTITB accredited training centre in Broadstairs, Sussex. We have 4000 sq ft of heated modern facilities and a modern fully equipped training room. There are also kitchen facilities with hot and cold drinks, the use of a fridge and microwave etc is also available for use. A three day course for RTITB Instructors who wish to renew their registration. This course is particularly suitable for delegates who instruct on a daily basis. Due to the short duration of the course there is very little time for refresher training therefore delegates must be confident of their ability to pass the final examination without refresher training. A five day re-registration course is also available for RTITB Instructors. This course is designed for delegates who instruct infrequently or who do not feel confident of their ability to pass the final examination without further training. 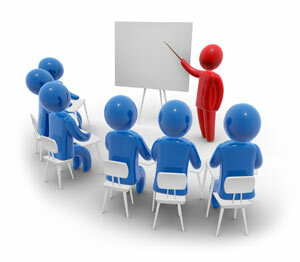 Instructor courses can be delivered either at our Sussex or Sussex accredited training centres. We have 4000 sq ft of heated modern facilities and a modern fully equipped training room. There are also kitchen facilities with hot and cold drinks, the use of a fridge and microwave etc is also available for use.